helps predict the unpredictable. Who would have believed in that there and then? Hardly anyone besides these two smart men, no not literally from outer space, but directly from the heart of Germany. into outstanding products, now celebrating the 25th anniversary of an outstanding company. 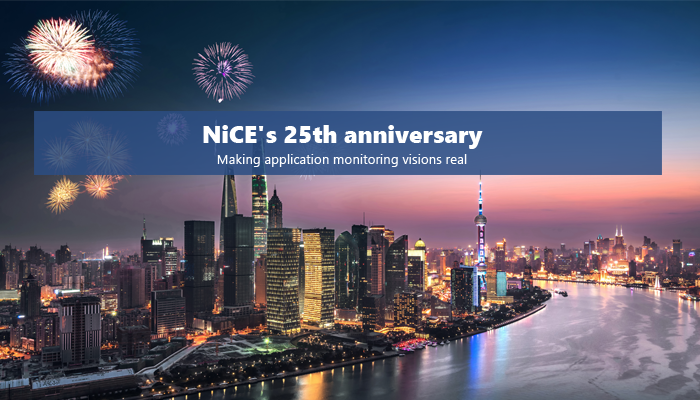 You, our customers and partners believe in this vision, too, and accompany us along the road of application monitoring. We are looking forward to many more years of evolving, sharing and living new mutual visions with you.